Natural Gas Boom. 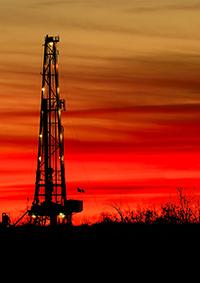 Recent advances in gas production technology based on horizontal drilling and hydraulic fracturing have led to bountiful, low-cost natural gas. In the long run, a global abundance of inexpensive natural gas would compete with all energy sources—not just higher-emitting coal, but also lower-emitting nuclear and renewable energy technologies such as wind and solar. Enlarge Image. Results: A new analysis of global energy use, economics and the climate led by researchers at Pacific Northwest National Laboratory shows that without new climate policies, expanding the current bounty of inexpensive natural gas alone would not slow the growth of global greenhouse gas emissions worldwide over the long term. The researchers, working at PNNL's Joint Global Change Research Institute along with their international collaborators, conducted modeling studies that show a global abundance of inexpensive natural gas would also accelerate economic growth and expand overall energy use. "The effect is that abundant natural gas alone will do little to slow climate change," said lead author Dr. Haewon McJeon, an economist at PNNL's JGCRI. "Global deployment of advanced natural gas production technology could double or triple the global natural gas production by 2050, but greenhouse gas emissions will continue to grow in the absence of climate policies that promote lower carbon energy sources." 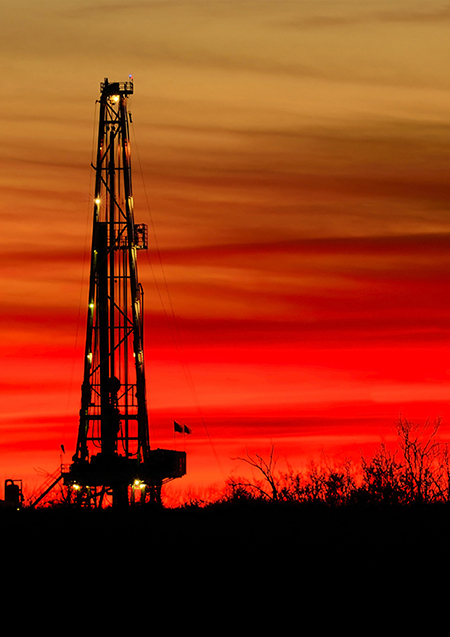 Why It Matters: Recent advances in gas production technology based on horizontal drilling and hydraulic fracturing—also known as fracking—have led to bountiful, low-cost natural gas. Because gas emits far less carbon dioxide than coal, some researchers have linked the natural gas boom to recent reductions in greenhouse gas emissions in the United States. But could these advanced technologies also have an impact on emissions beyond North America and decades into the future? In the long run, according to this study, a global abundance of inexpensive natural gas would compete with all energy sources—not just higher-emitting coal, but also lower-emitting nuclear and renewable energy technologies such as wind and solar. Methods: A group of scientists, engineers and policy experts, led by researchers at PNNL's Joint Global Change Research Institute, gathered at a workshop in Cambridge, Maryland, in April 2013 to consider the long-term impact of an expansion of the current natural gas boom on the rest of the world. Researchers from the United States, Australia, Austria, Germany and Italy, projected what the world would be like in 2050 with and without a global natural gas boom. The five teams used different computer models that had been independently developed. Their computer models included not just energy use and production, but also the broader economy and the climate system. These "integrated assessment models" accounted for energy use, the economy, and climate and the way these different systems interact with one another. For more, see PNNL news release, "A global natural gas boom alone won't slow climate change. What's Next? This is the first installment in the series of papers looking into the implications of abundant natural gas. The first paper addressed whether abundant gas will help mitigate climate change in the absence of climate policy. The second paper will address whether abundant gas will make it easier or harder to achieve a climate mitigation goal. Sponsor: The research was supported by the Global Technology Strategy Project, a public-private collaboration. The Joint Global Change Research Institute is a partnership between PNNL and the University of Maryland. Research Team: Haewon McJeon, Jae Edmonds, and Leon Clarke, PNNL; Nico Bauer and Jérôme Hilaire, Potsdam Institute for Climate Impact Research; Brian Fisher and Raymond Mi, BAEconomics; Brian P. Flannery, Resources for the Future; Volker Krey, Keywan Riahi and Holger Rogner, International Institute for Applied Systems Analysis; Giacomo Marangoni and Massimo Tavoni, Centro Euro-mediterraneo sui Cambiamenti Climatici and Politecnico di Milano.